The state governor accused of building a hotel with $3m of the London-Paris Club loan refund has sneaked into Aso Rock Presidential Villa in search of soft-landing. It was gathered that the embattled governor had in the last 48 hours been roaming the corridors of the Presidential Villa in desperate search for help. The "thief" governor was said to have offered to refund the balance of $2.5 million quietly to the EFCC without being further investigated, given that one of the proxies used to launder the funds had already surrendered $500,000 to EFCC. It was learnt by The Nation that the governor, who disguised to enter the Villa, avoided the prying eyes of journalists at the seat of power. A source said: “The governor was looking visibly disturbed, it was obvious he was seeking help. The manner he managed his shuttle to the Villa suggested that he had something up his sleeves. “I think he is ready to refund $2.5 million since one of his proxies has paid back about $500,000. “The governor had audience with some government officials. We learnt he made a commitment to pay back quietly to avoid any political backlash. “He also does not want to be exposed or his proxies subjected to trial. 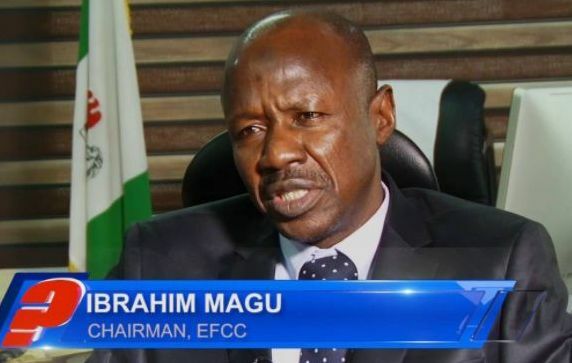 Already, EFCC has recovered about N1.420bn from some firms and a consultant who benefited from the N19bn illegally deducted by the Nigeria Governors Forum from the loan refund. Out of the sum, about N1.2 billion was frozen in the account of a consultant alone. A top source, who spoke in confidence, said the EFCC was already on the trail of all those who benefited from the N19bn cash.